Male Suicide: Do men still have to ‘Man Up’? The text below may contain disturbing content that may cause negative thoughts and feelings. I still hear the phrase ‘man up’ occasionally, while male suicide is three times more likely to occur than female suicide. From my experience as a therapist, I would say that two-thirds of my clients are female while one-third are male. What I’m trying to say is that more recognition within mental health care for all kinds of situations we don’t expect men to be in is needed, in particular male suicide prevention. Tom Chapman is a barber from Torquay in Devon. Tom lost a male friend to suicide around two years ago. It affected him deeply as he didn’t see the signs in his friend at all. 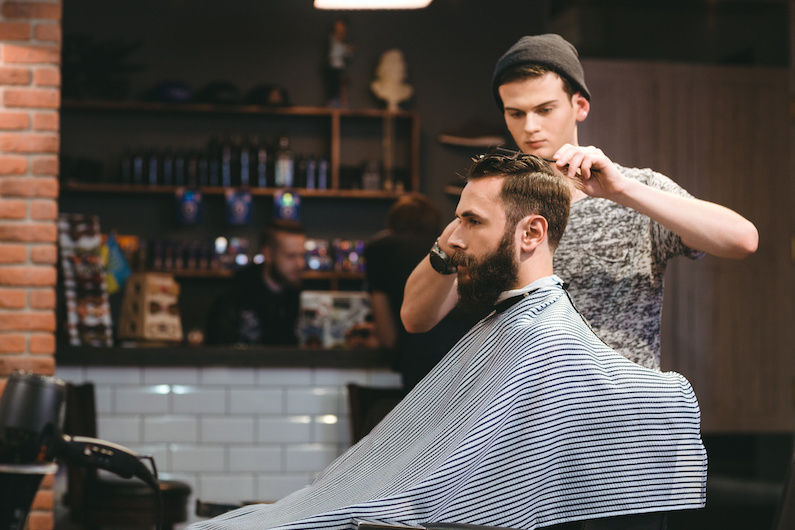 As a result, Tom set up the Lions Barber Collective in 2015 with the aim of transforming barbershops into safe, confidential spaces for men to talk about their mental health with their barber. The Lions Barber Collective have a website that provides support for men who are down or in crisis. They also campaign for culture change to challenge archaic stereotypes of masculinity that prevent men seeking help. Many men feel forced to grind through bad times without societal permission to open up or seek help. Although barbers and hairdressers are not therapists or counsellors, they are known for their level of trust and intimacy. Appointments are usually regular with the same barber in the same personal space that helps customers to open up. A lot of men have no idea where to talk about their depression. Working alongside various suicide prevention charities, some of the Lion Barbers are receiving specific training on suicide intervention. They are trained to recognise the signs of mental health conditions, provide a non-judgemental ear and signpost their customers to charities and the relevant organisations that can help them. If men are talking more about their mental health and getting stuff of their chest, then hopefully this will bring down the number of suicides. Needs to start from childhood, boys are told to ‘man up’ right from the beginning.